Everyone is invited! This is one of UPCOB’s wonderful events for the community. Invite your neighbor! Bring a friend! Come join us for our annual spaghetti dinner. 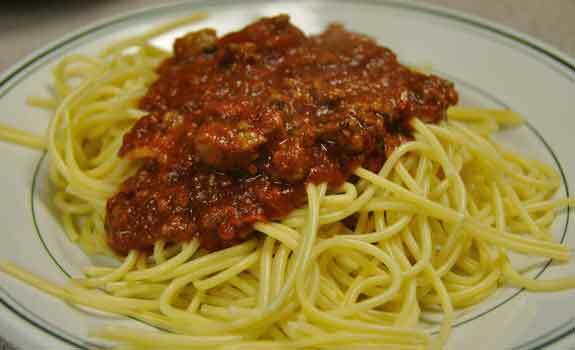 We’ll be serving up spaghetti with our own special meat or veggie sauce, garlic bread, salad bar and ice cream sundaes. We transform our social hall into an Italian Bistro and have live music for all to enjoy. If you’d like to join us in an even bigger way…feel free to sign up for one or more of the fun jobs like set-up, clean-up, serving or even washing dishes. The sign up sheet is on the doors at the back of the sanctuary. All money donations from the dinner will be split between Help By Phone and Community Crisis Centers – both of whom provide assistance to neighbors in need here in University Park and Hyattsville.